Hurricanes with feminine names are likely to cause more deaths than hurricanes with masculine names, according to an analysis of more than six decades of hurricane death rates in the United States. The study, published Monday in the U.S. journal Proceedings of the National Academy of Sciences, said the reason is very simple because a storm with a feminine name is seen as less foreboding than one with a more masculine name. As a result, people in the path of these severe storms may take fewer protective measures, leaving them more vulnerable to harm, said the study by researchers of the University of Illinois. "The problem is that a hurricane's name has nothing to do with its severity ... (it is) assigned arbitrarily, based on a predetermined list of alternating male and female names," said lead author Kiju Jung, a doctoral student in marketing in Illinois. "If people in the path of a severe storm are judging the risk based on the storm's name, then this is potentially very dangerous. " Jung and colleagues examined actual hurricane fatalities for all storms that made landfalls in the United States from 1950 to 2012, excluding Hurricane Katrina (2005) and Hurricane Audrey ( 1957) because they were much deadlier than the typical storm. 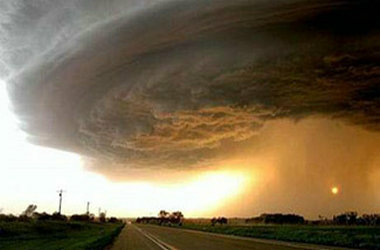 They found that for highly damaging storms, the more feminine the storm's name is, the more people it killed. The analysis suggested that changing a severe hurricane's name from the masculine "Charley" to the feminine "Eloise" could nearly triple its death toll. "In judging the intensity of a storm, people appear to be applying their beliefs about how men and women behave," said Sharon Shavitt, a professor of marketing at Illinois and a co- author of the report. "This makes a female-named hurricane, especially one with a very feminine name such as Belle or Cindy, seem gentler and less violent." In a follow-up set of experiments, Jung and his colleagues examined how the gender of names directly affected people's judgments about storms. They found that people who were asked to imagine being in the path of "Hurricane Alexandra" (or "Christina" or "Victoria") rated the storm as less risky and intense compared to those asked to imagine being in the path of "Hurricane Alexander" (or "Christopher" or "Victor"). "This is a tremendously important finding. Proof positive that our culturally grounded associations steer our steps," said Hazel Rose Markus, a professor in behavioral sciences at Stanford University, who was not involved in the research. Hurricanes kill more than 200 people in the United States each year, and severe hurricanes are capable of producing casualties in the thousands, according to the researchers. They were previously given only female names in the United States but an alternating male-female naming system was adopted in the late 1970s because of increased societal awareness of sexism, the researchers said. The findings, however, indicated an unfortunate and unintended consequence of the gendered naming of hurricanes, which has important implications for policymakers, meteorologists, the news media and the public regarding hurricane communication and preparedness, they said.